The Senior Farmers Market Nutrition Program (SFMNP) provide eligible seniors with resources in the form of fresh, nutritious, unprepared, locally grown fruits, vegetables, and herbs from approved farmers’ markets. The purpose of the SFMNP is to increase the consumption of fresh fruits and vegetables with low income seniors and to expand the awareness, use of and sales at farmer’s markets. Low-income seniors generally defined as individuals who are at least 60 years old and who have household incomes of not more than 185 percent of the Federal Income Poverty Guidelines (published each year by the Department of Health and Human Services), are the targeted recipients of SFMNP benefits. Aging, Area Agencies on Aging and Catholic Charities of the Archdiocese of Chicago. In Clinton, Madison, St. Clair and Washington Counties the checks are distributed at the local Farmers Markets only. The Senior Farmers Market Nutrition Program season begins July 1st and ends October 31st. Applications are available at the Farmers markets listed below. Why Should I Care About Elder Abuse? Elder abuse is an under recognized problem with devastating and even life threatening consequences. How big is the problem? Research indicates that more than one in ten elders may experience some type of abuse, but only one in 23 cases are reported. This means that very few seniors who have been abused get the help they need. One thing is for certain: elder abuse can happen to any older individual –your neighbor, your loved one – it can even happen to you. Remember: Most cases of elder abuse go undetected. Don’t assume that someone has already reported a suspicious situation. To report suspected abuse in the community, contact your local Adult Protective Services agency. For state reporting numbers, visit the NCEAwebsite at www.ncea.aoa.gov or call the Eldercare Locator at 1-8 0 0 – 67 7-1116. »IF YOU OR SOMEONE YOU KNOW IS IN A LIFE THREATENING SITUATION OR IMMEDIATE DANGER,contact 911or the local police or sheriff. Together, we have the power to prevent elder abuse. Arthritis impacts more than 50 million adults (1 in 5) and 300,000 (1 in every 250 under the age of 18) children and is an often misunderstood disease. So what is arthritis? It is not a single disease; it is a complex group of musculoskeletal disorders with many causes and no cures. There are over 100 different types of arthritis and people of all ages, sexes and races are affected. Arthritis is the leading cause of disability in America because it can destroy joints, bones, muscles, cartilage and other connective tissues, which then hamper or halt physical movement. It is more common in women and as people age it occurs more frequently. Arthritis is the second most frequently reported chronic condition in the US and a more frequent cause of activity limitation than heart disease, cancer, or diabetes. Osteoarthritis (OA): the most common form of arthritis is a progressive degenerative joint disease characterized by the breakdown of joint cartilage associated with risk factors, such as overweight/obesity, history of joint injury and age. It affects nearly 27 million Americans, most over the age of 45. Read more about osteoarthritis. Rheumatoid Arthritis (RA): a systemic disease characterized by the inflammation of the membrane lining the joint, which causes pain, stiffness, warmth, swelling and sometimes severe joint damage. It causes inflammation throughout the body, affecting the heart and other organs. In the United States, an estimated 1.5 million people have RA and there are 2.5 times as many women as men with the disease. Read more about rheumatoid arthritis. Juvenile Arthritis (JA): is an umbrella term used to describe the many autoimmune and inflammatory conditions that can develop in children ages 16 and younger. Read more about juvenile arthritis. Common symptoms of arthritis are: swelling, pain, stiffness and decreased range of motion. Symptoms may come and go, can range from mild to severe, and may stay the same for years or progress and get worse over time. Severe arthritis can include chronic pain, inability to preform daily activities and make mobility difficult. In addition, it can cause permanent joint changes, some of which are visible (knobby finger joints) but often can only be seen on x-ray. Arthritis can also affect soft tissue organs such as the heart, lungs, eyes, kidneys, and skin as well as joints. Often diagnosis of arthritis starts with a person’s primary care physician. The physician may perform a physical, run blood tests and imagining scans (such as x-rays) to determine the type of arthritis. In some cases a person may choose to or be referred to an arthritis specialist called a rheumatologist. An orthopedic doctor may be referred to if the arthritis is severe and may require joint surgery or replacement. Many things can be done to preserve joint function, mobility and quality of life for someone with arthritis. Learning about the disease and various treatment options available, physical activity and maintaining a healthy weight are essential components. More information about the different types of arthritis and practical tips for daily living can be found at the Arthritis Foundation’s website listed below. The Arthritis Foundation is the only non-profit organization dedicated to serving all people with arthritis. 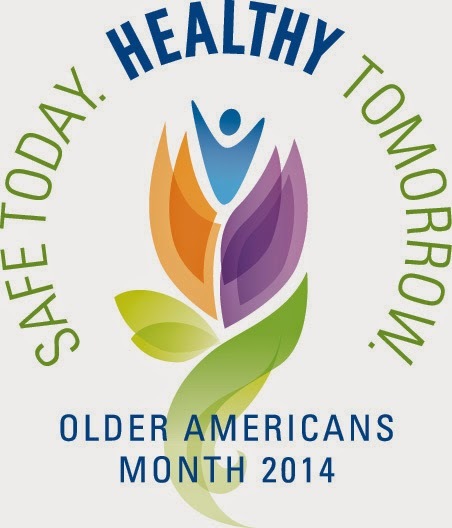 Older Americans Month 2014 Safe Today. Healthy Tomorrow. Older adults have made countless contributions and sacrifices to ensure a better life for future generations. Since 1963, communities across the country have shown their gratitude by celebrating Older Americans Month each May. This celebration recognizes older Americans for their contributions and demonstrates our nation’s commitment to helping them stay healthy and active. This year’s theme for Older Americans Month is “Safe Today. Healthy Tomorrow.” The theme focuses on injury prevention and safety to encourage older adults to protect themselves and remain active and independent for as long as possible. Unintentional injuries to this population result in at least 6 million medically treated injuries and more than 30,000 deaths every year. With an emphasis on safety during Older Americans Month, we encourage older adults to learn about the variety of ways they can avoid the leading causes of injury, like falls. While the Area Agency on Aging provides services, support, and resources to older adults year-round, Older Americans Month offers an opportunity for us to provide specialized information and services around the important topic of injury prevention. This information will help older adults take control of their safety and live longer, healthier lives. Throughout the month, the Area Agency on Aging will be conducting activities and providing tips on how to avoid the leading causes of injury. The Next Snacks and Facts will talk about wellness and older adults and the Healthy Living Expo on May 22, 2014 will focus on staying safe in your home. To learn more about Older Americans Month and how you can participate, contact the Area Agency on Aging at 1-800-326-3221 and follow us on Facebook and Twitter. ADRC? Great idea….but what is it exactly? Well, ADRC stands for Aging and Disability Resource Center. The idea started as a result of the complexity of services to both the aging and disability communities. There are agencies that serve people over 55 and under 60, there are agencies that serve people who have specific types of disabilities, those that serve people with a variety of disabilities, and a multitude of social services with qualifications of their own. So the idea came about that both the aging and disability communities would be best served if they didn’t have to navigate between all the different agencies that provided all the different kinds of services…and a “No Wrong Door” or “One Stop Shop” program was born: ADRC. In 2003, the Administration on Community Living (including Area on Aging) and the Center for Medicare and Medicaid collaborated and began providing funding for states to develop ADRC’s. ADRC programs raise visibility about the full range of options that are available to consumers, provide objective information, advice, counseling and assistance, empower people to make informed decisions about their long term supports, and help people more easily access public and private long term supports and services programs. About 6 years ago several aging and disability related agencies in the Metro East/Southern Illinois area came together to form our own ADRC: Area Agency on Aging of S.W. Illinois, LINC & OFA Centers for Independent Living, local Case Coordination Units, Southwestern Illinois Visiting Nurses, and several other aging network Information and Assistance providers. We cross trained our agency staff so they would have a greater understanding of the programs and qualifying criteria of the other agencies and could avoid the “goose chase” referrals. Goose chase referrals happen when the agency you call refers you to another who gives you the phone number of another…..and around and around you go! The Area Agency on Aging would like to thank Lynn Hatfield for this week’s blog post. Lynn is the Assistant Executive Director at Living Independently Now Center (LINC, Inc) the Center for Independent living for St. Clair, Monroe and Randolph counties in Southern Illinois. You can contact LINC at (618) 235-9988 Voice/TTY, (618) 310-0054 Video Phone or visit their website at www.lincinc.org . I have a secret for you. I don’t blog. I was asked if I’d write one on the stages of financial planning, and given the constant nagging from my marketing director to start blogging, I agreed. In this blog we’ll cover those stages and hopefully a few insights along the way. Obviously there’s a 30,000 foot view stretching from adolescence to death, but I felt that folks reading this wouldn’t be too concerned with the youth of today, or paragraphs talking about the compounding effect for 20 year olds vs 30 year olds. After all, most folks reading this were probably the youth of yesterday and you’re just now getting around to reading about this stuff yourselves. So I thought I’d do a slightly more micro approach on the later stages. I’ll try to offer some ideas that I’ve come across in the 10 plus years I’ve helped clients navigate through their later years, in the hopes that you find some things useful or applicable to your own situations. I’ll call these stages The Planning Time, Honeymoon Phase, Disenchantment, Reorientation, and Legacy. Our first stage ‘The Planning Time’ usually takes place somewhere around age 50. It’s when folks start looking at the balances of their 401K’s and begin wondering “Hmm, is that going to do it?” People fortunate enough to have pensions start adding up their expenses and doing to math. I cannot express how important these years are for your future. The decisions you’ll make set the foundation for the rest of your life. I tell my teenagers that exact same line, but something tells me that you may be more receptive. The general school of thought for retirement has been that you can safely pull 4% from your moderately invested savings with only a slight risk of your account hitting zero before your blood pressure does. (However, this has been under some scrutiny in the last 4-5 years due to volatile markets and low interest rate environment). So keep in mind that it anything but a ‘rule’ when planning. A few pointers for planning would be to ensure that your allocations haven’t gotten out of whack over the years of raising kids and not monitoring accounts. Going over a detailed budget is going to be vital for you. Notice I didn’t say create a budget, or to budget yourself. I’ll leave telling you not to have a cup of coffee every day to the Suzie Orman’s of the world. Simply put, you need to know what your expenses will be once you retire to effectively plan for it. Common sense right? You’d be surprised at the amount of people that thought they just won’t spend as much during retirement. When in fact I’ve found that people often spend more than they did the years they were working (more on that later). You also want to understand that diversification is more than just a healthy mix of stocks and bonds, it’s also understanding how having tax diversity can impact you. The decision to invest money into tax free accounts or looking into Roth conversion strategies should involve more than, “Should I pay taxes now or later?” One important factor most everyone overlooks is the effect this has on their social security income. The difference between taking money from a taxable vs tax free account could mean paying tax on up to 85% of SSI. The bottom line for this stage, there are a lot of variables and you have to be diligent. Do your homework and lots of it. I hope this phase doesn’t happen for you or at the very least that being aware of it will help to shorten its stay. Disenchantment comes when we become stagnant. Feelings of let down or uselessness can creep in. For some, and I’ve seen it happen to my very own clients, unhealthy spending can occur here. We may tend to impulse buy or depression shop to find our self-worth or to just flat out make us feel better. It is vital to recognize this and stick to your plan…you know that one you created in the planning stage! This is something that comes naturally to some. “How do you want to be remembered?” Let that sit for a moment. If we’ve done a good job with other phases, chances are you have some tough decisions to make. How will you leave what you have in the simplest, most tax efficient way that will preserve your legacy? There are so many ways to accomplish this that I could write posts for 6 weeks and still not cover them all. Just know that you want your financial planner to have a good working relationship with an estate planning attorney so they can collaborate to identify all possible avenues for you to accomplish this. Whether it is charitable interests, passing wealth to your grandchildren, or meeting the maker with your last nickel, chances are the US government wouldn’t be a choice. The Area Agency on Aging would like to thank Jason Stroede , President of Clarus Wealth Management for this week’s blog. Jason and his team specialize in retirement planning strategies in the St. Louis Metro East Region. To contact Jason or one of his team you can call 618-398-6861 or 800-257-5046 or check out their website at www.claruswealthmanagement.com. Social Security: Know before you go! According to the Pew Research Center starting January 1st 2011 “Roughly 10,000 Baby Boomers will turn 65 today, and about 10,000 more will cross that threshold every day for the next 19 years.” Most of those turning 65 and many more approaching that age are thinking about retirement. The sad truth is that most retirees have very little understanding of Social Security benefits and can make decisions that will affect their income for the rest of their lives. Retirement, retirement planning and strategies seem to be on the front page of Yahoo and other sites every day. Some of the stories help; some of them are just confusing. Fortunately, there are great tools available for free from Social Security to make the decision making process easier. SSA offers publications and retirement tools on the www.ssa.gov website. Make sure the page you are on is the .gov webpage, it is the official Social Security site, there are many predators on the web that will try and charge you for the information and filing of benefits. Social Security does not charge a fee for filing for retirement benefits. If you are just beginning your plan for retirement SSA offers a great basic primer publication (www.ssa.gov/pubs/EN-05-10035.pdf). The webpage also offers a variety of free tools that can be used to see the different monthly amounts based on your own earnings as you look at the difference between filing for early benefits at 62, 65, 67 or even 70 years old. These tools are valuable for making the decisions for the rest of your life. You can also file for benefits on the SSA.gov webpage when you are ready. You can also file over the phone or in person at your Social Security office, but you will need to contact SSA and make an appointment well in advance. Appointments can be made by calling 1-800-772-1213. Regardless of filing electronically or in person you are going to have to provide SSA with information and documentation to make the process go smoothly. Using the tools SSA provides will make the process move very smoothly. Documents you need to have in order to retire. The name of your financial institution, the routing number and your account number, so your benefits can be deposited directly into your account. If you do not have an account at a financial institution or prefer receiving your benefits on a prepaid debit card you can receive a Direct Express® card. For more information, visit www.GoDirect.org. You will need to submit original documents or copies certified by the issuing office. You can mail or bring them to Social Security. They will make photocopies and return your documents. Any time money and complex or confusing government programs are combined; there are people who will take advantage of the situation. To avoid fraud many companies now offer retirement counseling as do many financial services firms. It is important to understand that Social Security does not train or endorse anyone outside of SSA in retirement. 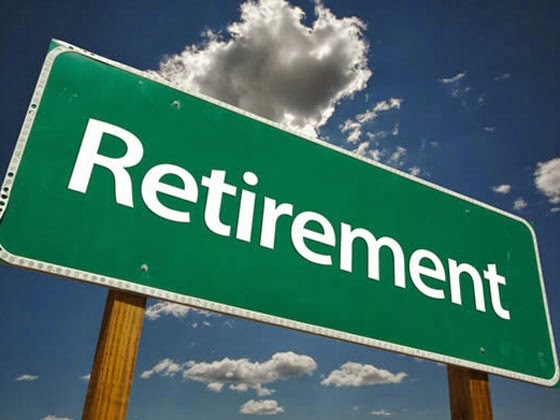 If you choose to use assistance in your retirement make sure you are dealing with a company or individual that at least is trained and certified is some type of financial planning recognized by major financial institutions. By using the SSA webpage, publications and tools you will be more informed. You will know something about retirement, if the answers you are getting from your advisor do not sound like what you have read on Social Security’s documents you should be very cautious. 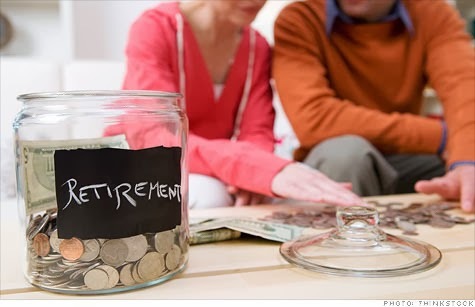 There are no secrets or tricks to getting the most from your retirement. No one can offer a “secret” to get more than you could on your own. Remember you are providing very sensitive information, information that in the wrong hands could be used to steal your identity. The key to a successful retirement is prior planning and education. SSA has made every effort to provide an easier to understand system. Yes, it is still very complicated. Yes, it can be confusing. Yes, you can take charge of your retirement by spending some time with family or friends going over the information provided by the agency to make you better informed. You are looking at a decision that will play a role in your life for decades, doing it fast and easy may not always be the best choice. The Area Agency on Aging would like to thank Steve Fulton for contributing this blog. Steve is a former Social Security Claims Representative, who is trained in both retirement and disability claims. Steve can be reached at sfultonz72@gmail.com. Many people are confused as to what observation status is and how it can affect them. Today we will look at what hospital admission status is and what it means in terms of hospital care and long term skilled nursing care. When a person enters a hospital for treatment they are be placed into one of two admission categories, outpatient or inpatient. Inpatient status means that they have been formally admitted to the hospital by a doctor’s order. Outpatient status means that you are there for emergency department (ER) service, outpatient surgery, lab tests, X rays or observation. When a person is in the hospital under outpatient they do not have a doctors order for admission. Observation status covers many different circumstances, the following are examples. One example of observation stats: A person who has outpatient surgery but is kept at the hospital for 24 hours in order for medical staff to address any complications from surgery that may occur. In these circumstances the patient has been told beforehand that they will be kept for 24 hours after their procedure. Another common example is someone enters the Emergency Department and is put under observation to determine if they are sick/injured enough to require inpatient treatment. Observation status has been in use for a very long time, until recently the observation status was usually short term, less than 48 hours, most often 24 hours. But, now a person can be kept in the hospital under observation status for days. Many people do not understand the importance of admission status and how it can significantly affect the way needed long term skilled care is paid for. When a person requires skilled care, such as rehabilitation, in order for Medicare to pay for that care the person has to have a qualifying hospital stay. A qualifying hospital stay is one where a person has been admitted as an inpatient to the hospital for 3 midnights. If they have a qualifying hospital stay prior to transfer to a skilled care facility, than Medicare covers the first 20 days of rehab at no cost to patient, and covers days 21-100 with a 2014 daily co pay of $152. If a person goes into a rehabilitation setting at a skilled care facility and does not have a qualifying hospital stay, than Medicare covers nothing. This is why it is so very important for patients and their families to understand the patient’s admission status. A patient may enter a hospital through the emergency department and be placed in observation status for 3 nights and then be told there is nothing more the hospital can do they need to go to rehab. The problem is the patient will be responsible for the entire rehab bill because they did not have a qualifying hospital stay. So, how do you know what admission status a patient is under? You ask and keep asking until someone tells you. A person cannot presume that they are admitted just because certain things happen. Observation status and inpatient admission status really do not look any different from the patients view point. In both situations the nurses ask the same question about health, lifestyle etc. If you are told that the patient is under observation status then the patient/patients advocate has the right to ask why they are not fully admitted as an inpatient. Never assume that someone has inpatient status, always ask. Additionally, the way Medicare covers self-administered drugs (prescriptions that the patient normally takes at home) for patients in outpatient status is much different. To learn more about observation status, Medicare Prevention and Wellness benefits, as well as other Medicare topics, you can go to www.medicare.gov/publications. You can always contact your local SHIP (Senior Health Insurance Program) Counselor. To find your closest SHIP counselor in Southwestern Illinois you can call the Area Agency on Aging at 618-222-2561 or 800-326-3221. 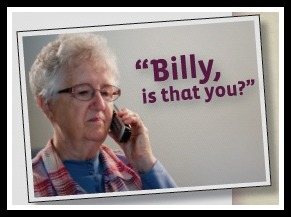 The Grandparents Scam…It happens more than you think. The Grandparent Scam has been around since 2008. Criminals have gotten craftier by using social media sites and learning about the person and sharing that personal information with the grandparents. It sounds frightening and real. If this happens to you the FBI recommends: Resist the pressure to act quickly, try contacting your grandchild or another family member to determine whether or not the call is legitimate and never wire money based on a request made over the phone or in an e-mail…especially overseas. 1. If you receive a phone call or email claiming a friend or family member needs cash, take a moment to review the situation. Does it make sense? Can you verify the emergency? 2. Call the person at a known telephone number, not a number given to you by the caller. Or, call a mutual friend or another relative and find out if he or she is aware of the situation. 3. Let your friend or family member know that you have received a call or email from the person requesting help. If the request turns out to be false, contact the police immediately. 4. Regardless of whether you are contacted by phone, email or some other means, be suspicious of requests to send money to “help a friend or family member out” unless you can verify the information you’ve been given with 100 percent confidence. 5. If you did send a money transfer through Western Union, and then realize that it was for a scam, contact the Western Union Fraud Hotline at 1-800-448-1492. If the transaction has not been picked up, it will be refunded to you. 6. Never send money to someone you have not met in person. If you every feel like you have been a victim of a scam give us a call at 1-800-326-3221 or contact the Illinois Attorney General’s Office Senior Fraud Helpline at 1-800-243-5377. Money can be a difficult issue at any age, but financial planning is especially important for your retirement years. You will want to have enough resources to enjoy your time, and to take care of any healthcare problems or other emergencies that may arise. Of course, financial planning does not end at retirement—you need to re-evaluate your plan annually. Fortunately, useful financial tools and other resources are available on the Internet, in books, and at the public library. A variety of professionals can also assist in financial planning. Here are some issues you should consider as you plan for and enjoy retirement. Saving for a long and productive life can be challenging, but you can and should do it. The first step is to determine how much money you will need each year to live comfortably. This will require a careful examination of your income, resources, and expenses. It will also require that you make decisions about the kind of lifestyle you want throughout your retirement. Social Security, pensions, savings accounts, IRAs—it all counts. When planning your financial future, include all sources of income. Don’t forget rental property and bank certificates of deposit. Even your Savings Bonds count. Read all the statements you receive from your pension fund, Social Security, 401(k), and IRAs. If you see a mistake or inaccuracy on any statement, contact the plan administrator and have it corrected immediately. On March 12, 2014 from 12-1:00 attend the Snacks and Facts to learn more about Social Security Taxation. The seminar will be held at the Fairview Heights public Library. Don’t “set it and forget it.” A lot can happen between now and your retirement, as well as throughout your retirement years. Re-evaluate your retirement savings plan each year to stay on track. You may want to consult a professional financial or investment planner to maximize your savings potential. If you can, contribute the maximum amount to all of your eligible tax-deferred retirement savings, including your 401(k) plan and IRAs. To take full advantage of these tax benefits, you may have to adjust your spending habits or forego some unnecessary spending, such as weekly dinners out. But everything you can save during employment will pay off in the long run! Write down everything you spend for three months. Don’t rely on memory (which can be unreliable), but make entries every day in your expenses journal. When you review your record, you might be surprised how much you spend on things you really do not need. All expenditures that you can cut from the “unnecessary” can be added to your retirement fund. Pay Off Those High-Interest Credit Cards. Credit cards are incredibly convenient, but carrying debt from month to month can cost you a lot of money in interest charges. Make it a priority to pay off your credit card balances every month. When you choose a credit card, look for one with a low interest rate. It can make a big difference. Do you know where your insurance policies are? How about your will? Take the time to organize all your important financial documents. Keep them in a safe place. Let your family members, your legal representative, or a trusted friend know where they are located and make sure they can be accessed. Longer life expectancies mean greater chances of medical problems during retirement. Be sure that healthcare is part of your retirement plan. Many employers provide health insurance for their active employees, but fewer and fewer are covering retirees. Medicare coverage begins for most Americans at age 65, but many Medicare beneficiaries choose to purchase supplemental policies to cover the gaps. You might also want to purchase insurance that would pay for long-term healthcare, such as home care and care in a long-term care facility, in case you experience an extended illness. The cost of long-term healthcare insurance will depend on your age at the time of purchase, the amount of coverage you get, and other policy features. Planning ahead can save you substantial amounts in the future. Get help from a financial professional or consider enrolling in a financial education class to better understand how to manage your money for all your retirement years. Books, magazines, Internet sites, seminars, and classes are available for the financial do-it-yourselfer. You may need to do a little research, and your local public library is a great place to start. If you decide you would rather have expert advice, a wide variety of professionals are available to help you prepare for a financially secure future. This was prepared in collaboration with the American Savings Education Council.